Skype Group calling feature is now available for free for all the users. It is available free of charge on Windows desktop, OS X and the Xbox One. The company also said the group calling feature on skype may be available for free across all platform in future. “In the future, we’ll be enabling group video calling for all our users across more platforms,” says Skype’s Phillip Snalune. 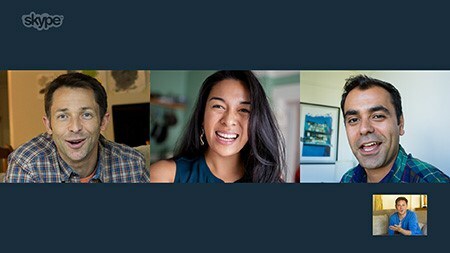 On the desktop, Skype can support up to 10 PCs and Macs for group video calling and on the Xbox One, up to four devices. Skype was first released in August 2003 by Janus Friis and Niklas Zennström but later on Microsoft bought Skype for $8.5 billion in May 2011. Skype group calling feature will allow family and business people to be in touch with their friends and collegues for free. Skype has also made screen sharing free for all group video calls, which would be fruitful for many businesses that collaborate remotely.